Is 2019 the year you start planning or working on your dream, self-build home? 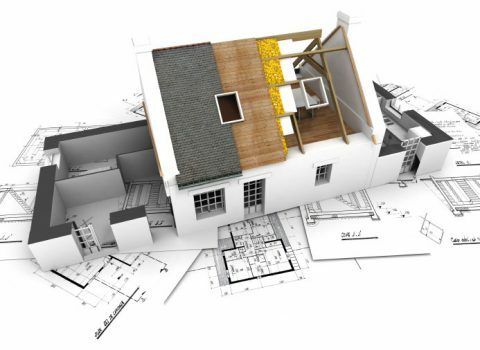 Whether your ideal home is a modest build or something that wouldn’t look out of place on Grand Designs, working out how to fund your project is one of the first, crucial steps in the planning process. Writing for What Mortgage, ESBS offers some practical advice on self-build mortgages. Aside from the satisfaction of creating a home exactly to your specification, there are a number of advantages of a self-build. One of them is the possibility of saving thousands of pounds on Stamp Duty; you’re only required to pay the tax on the cost of the land itself if it exceeds £125,000 (or £300,000 for first-time buyers). In many cases, a completed self-build property will also be more valuable than the overall cost of construction – sometimes by tens of thousands of pounds. So, it could make you serious profit if you ever decided to sell in the future. The property may need to be detached and used as your main residence as opposed to commercial use (including renting it to tenants). The building may have to be constructed with conventional materials to make it more mortgageable during and after the build, which will also boost its valuation. The property is likely to require a warranty or provision from a qualified architect or consultant. You need to thoroughly check planning conditions, particularly as some granted permissions have an agricultural tie clause or Section 106 occupancy clause. The former is a restriction on the deeds of the land, which requires the buyer either works in agriculture or has done so previously. Section 106, on the other hand, is an occupancy clause applied by the local planning authority; an example is that the property can only be occupied by someone from the local area. Clauses like these are likely to restrict the valuation and market, as well as the number of mortgage providers willing to assist. When you apply for a self-build mortgage, the provider will ask you how much you expect the overall project to cost. What’s important is that you’re able to afford living somewhere else while undertaking the project. Living on-site in a caravan or moving in with family can help to keep costs low and will motivate you to complete the build as quickly as possible. If you think it’ll help, you can pay your monthly mortgage on an interest-only basis until you move in. In any case, you’ll need to access savings to part fund the self-build, so it’s crucial the money is accessible. Site map showing where the property will be built. Floorplans showing the size and layout of the building. Rundown of the associated costs. You’ll be required to have construction insurance in place during the actual build, then full property insurance upon completion and occupation. As building works can often take a year or more, it can help to speak to an expert about your mortgage once your dream home is finished to see how it can be rearranged. CASA Studio offers a full range of architectural services, from building surveys to feasibility studies, sketch scheme designs and much more – get in contact today.